TDN International Editor Kelsey Riley will be riding in the Mongol Derby in August 2018, and will be regularly blogging about her preparations and ultimately, her 1000-kilometer, 10-day ride across Outer Mongolia. Every rider chooses a charity for which they raise money as part of the process. Kelsey has chosen the Thoroughbred Retirement Foundation’s Second Chances Program at the Blackburn Correctional Complex in Lexington, KY. To learn more about Blackburn, click here. Hello, followers of my awesome, crazy Mongol Derby adventure. Since I brought you my last blog about battling Lexington’s arctic conditions to get in some riding time, I’ve been coming to grips with the fact that in August, I’ll be riding 1000 kilometres across Mongolia (on half-broke horses with no showers, stables or course markers, albeit). One thousand, that’s a reasonable number to come to grips with. Sure, until your creative mind gets going and you think, ‘wouldn’t it be fun to convert that to distances applicable to racing? A Bahraini endurance rider has been suspended and fined for horse abuse after the FEI Tribunal found he used an extra set of reins as a whip during a 120km race. Whips are banned in endurance. Khaled Ebrahim Khalil Khairi was suspended for three months and ordered to pay a fine of 2000 Swiss francs over his treatment of Happy Jack during the CEI2* race in Sakhir, at the Bahrain International Village, on January 14 last year. He was also ordered to contribute 1000 Swiss francs toward the cost of the case. The FEI Tribunal ruled that Khairi’s actions in using an extra set of reins as a whip met the definition of horse abuse as described in the FEI General Regulations. While the world obsessed about alleged abusive riding by Shelley Browning in the US and Bernhard Maier in Austria, a proven horse abuse case was quietly adjudicated by the FEI last week. The incriminating video wasn’t circulated on social media. But an account of the sustained whipping of endurance horse Happy Jack appeared last week, in the FEI Tribunal decision to suspend the rider for three months. FEI endurance rules expressly disallow spurs or carrying anything that could be used as a whip. Thus striking an endurance horse AT ALL is abuse. This interpretation was thoroughly tested by Tribunal in 2014 in the first-ever protest by members of the public against abuse on the field of play – lodged by me and colleague Lucy Higginson. The number of horses officially listed as dead in the current UAE winter endurance season rose to 10 today (February 23rd). Australian-bred nine-year-old Amihh PP sustained a fatal injury in the second loop of a national ladies race at Al Wathba, Abu Dhabi, after leading the first loop with an average speed of 30.2 kph. He was ridden by Natasha Zakaria, 29, of Jordan, who last week was eliminated from a FEI ride at Boudhieb for “not conforming to many rules” with another horse. Mill Spring, NC – February 22, 2018 – Mark Bellissimo, Managing Partner and CEO of the International Equestrian Group and Tryon Equestrian Partners, announced today the inaugural annual World Equine Expo™ that will include the WEQx Games™ and World Horse Day™ and will run concurrent with the FEI World Equestrian Games™ Tryon 2018 (WEG) between September 11-23rd, 2018. The collective event theme is “Celebrate the Horse, Celebrate the Sport,” which honors and highlights the unique connection between horses and humans across the world. 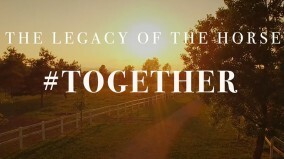 The Tryon International Equestrian Center (TIEC) team, location of the 2018 WEG, will release its #Together video highlighting this powerful connection between the World Equine Expo and the FEI World Equestrian Games. The FEI World Equestrian Games™ Tryon 2018 will run from September 11-23rd, 2018 and is equestrian sport’s most significant event featuring the World Championships for eight equestrian disciplines: Jumping, Dressage, Para-Dressage, Eventing, Driving, Vaulting, Reining, and Endurance. The Tryon WEG will be the most attended sporting event in the U.S. in 2018. The World Equine Expo™ (Expo) – whose inaugural event will run during the WEG – will be an annual event intended to create a platform to honor, celebrate, and promote horses and horsemanship through a significant trade fair, demonstrations, educational seminars, clinics, panel discussions, an equine art and film festival, and competitions on topics critical to raising awareness, and strengthening, innovating and expanding global equestrianism. The Expo will include the WEQx Games,™ which are spectator-friendly derivative equine competitions that highlight the accessibility, diversity, athleticism, and passion for horse sport for athletes of all ages with the ultimate goal of finding formats that promote personal, spectator, and commercial interest in equestrian sport. More comprehensive details will be introduced in the forthcoming weeks. The social media theme “#Together” highlights the convergence and shared interests of many dualities including the FEI World Equestrian Games™ and the World Equine Expo™, east and west, horse and rider, equestrians and non-equestrians, athletes and spectators, and riders and grooms who all come together for the love and passion for horses. On Facebook alone, there are 250 million people that have horse-related interests. This compares with 7.9 million for ice hockey, 65 million for American football, 102 million for golf, 180 million for tennis and rivals American baseball of 288 million. Soccer leads the sporting disciplines with 762 million. In addition, the World Equine Expo™ will host and debut the inaugural World Horse Day™ with a charity gala. “World Horse Day™ will be the ultimate celebration of the horse, an animal that has supported humans since the beginning of time. While often an unsung hero, this incredible animal is overdue for its turn in the spotlight. World Horse Day™ honors the horse and its unparalleled contribution to our world,” said Bellissimo. More details will follow over the following days, weeks, and months highlighting the details of the World Equine Expo™, the WEQx Games™, and World Horse Day™, along with ongoing WEG announcements. Tryon is working in collaboration with the Federation Equestrian International and the United States Equestrian Federation to refine the formats of the WEQx Games competitions. The World Equine Expo™ event media partner will be “Chronicle of the Horse” (COTH), one of the U.S.’s oldest and most influential equestrian media companies that dates back to 1937. The COTH website is the most visited website in the equestrian world (non-racing) with over nine million unique visitors on www.coth.com. Drâa-Tafilalet, the golden dunes of Merzouga, Morocco. Tuesday 20 February 2018. 25 February will be the start of the Gallops of Morocco held under the patronage of His Majesty The King Mohammed. This is the second edition of the ‘Gallops’ after the first one took place in Oman in 2014. Here 110 horse riders attacked a route over a 180 kilometres long trail of five stages in the sandy dunes of the majestic Wahiba Sands desert in the Sultanate of Oman. The philosophy of the concept is very simple: ride, escape, nature, discovery, authenticity, traditions, magic, arts, emotions, treasures, taste for adventure, sun, party, and friends are the key words for this extraordinary adventure. Comparable with the very known car race Paris-Dakar the concept is an orienteering and endurance equestrian race in teams of five riders, for six days through the desert. Doha: The Minister of Culture and Sports H E Salah bin Ghanem Al Ali honoured Al Shaqab Endurance Team as a champion of H H the Emir Sword Endurance Ride at the end of the race which took place today at the Endurance village, Sealine. The 130 km race saw a large participation and strong competition among 66 riders. Manama, Feb.17 (BNA): His Highness Shaikh Nasser bin Hamad Al Khalifa, Representative of His Majesty the King for Charity Works and Youth Affairs, Chairman of the Supreme Council for Youth and Sports, President of Bahrain Olympic Committee, Honourary President of Bahrain Royal Equestrian and Endurance Federation (BREEF), crowned Salem Hamad Al Kitbi of Al Raood Stud as winner of HM the King Endurance Cup, featuring a 120-km course. The event witnessed the participation of a pool of prominent local competitors as well as from UAE. The eventual victor completed the race in 4.07.50 hours, travelling at a speed of 29 km/h, leaving the second place to UAE's Rashid Al Baloushi (4.08.31), while third place went to his country fellow Abdulla Ghanim Al Marri (4.08.45). Five endurance horses loaned to foreign nationals for rides in the UAE this winter have failed dope tests, with half the 2017-2018 desert season still to go. According to listings recently updated by the FEI, there have been more three more positive findings since the two both involving Argentine visitor Daiana Chopita in December. Uruguay’s Jonatan Rivera Iriarte, 34, is now provisionally suspended pending a FEI disciplinary hearing, after the borrowed HV Chairu tested positive to the banned substance Diisopropylamine and the controlled/specified substance Hydroxyxylazine, a sedative, when placing third in the Al Reef Cup on January 13th. Rivera Iriarte is a hugely experienced competitor who represented Uruguay at the 2016 world championships, where he finished in the leading group but was vetted out, and the 2017 Pan Am Games. He was having only his second FEI ride on the 11-year-old HV Chairu, trained by Al Reef Stables. Diisopropylamine is a Vasodilator used in the treatment of peripheral and cerebral vascular disorders. Hituzaingo Racetrack, Trinidad, Flores, Uruguay. Saturday 3 and Sunday 4 February 2018. Thanks to the Emirati hospitality, the Uruguayan riders, trainers, farriers and vets, all very active during the UAE season (when summer starts in the south hemisphere), managed to continue training horses in Uruguay and flew over to compete. Meanwhile the season started mid summer in central Uruguay. Although it didn’t look there were many participants, a total of 137 horses came to compete last weekend. Summer is the time breeders start qualifying their young horses. In the characteristic vast Uruguayan countrysides, most foals are born in spring (September) which is also the season breeders select the best horses of a new generation to start the taming process. It was a pleasure to see the new horses on track on Saturday in Trinidad, but the stars of the race were the CEI2* 120km participants who overpassed the 24km/h average speed in a fast track under hot weather and very hard surface. The race was divided in four loops 38.5, 34.5km, 28 and 19km. This little mare, named 8 Minute won the President Cup CEI 160 km 3* yesterday, the 10th February 2018. But many people feel she should not have been allowed to participate in the ride at all. 8 Minute was first over the line at the FEI World Championships for Young Riders and Juniors held in Italy on the 23rd September 2017. Photos circulated, showing blood flowing down the front legs of the little mare after having completed the last loop at 33.6 km/h (just under 21mph). There was a social media storm, and the photos were removed, only to reappear with the blood mysteriously gone. The annual HH The President of the UAE Endurance Cup was held Saturday, February 10th, at Emirates International Endurance Village, Al Wathba, Abu Dhabi, UAE. 270 riders from 41 countries took to the starting line. UAE riders occupied the top 6 fiish spots, with the winner being awarded a Mercedes Benz S450, the second-placed rider getting a Range Rover Sport, and riders finishing third to tenth receiving a Nissan Patrol 4WD car each. Rashid Hamoud Al Junaibi finished first aboard the 12-year-old mare 8 Minute in an astounding ride time of 6:12.10. The mare took 12 minutes and 40 seconds to recover at the finish with a recorded 62/60 CRI. 120th and last place went to Portuguese rider Filipe Fialho aboard the 8-year-old stallion El Violino, in a ride time of 11:24.46, long after the sun had set and the crowds dispersed. All finishers received Dh 100,000 each (about US $27,000). Equestrian Canada caught up with Donald Larry Hamilton of Saskatoon, SK. Hamilton has been appointed as a Vet Commission (VC) 3 Member, responsible for providing veterinary care and oversight for the endurance portion of the games. When it comes to 20-year-old endurance horse Barack Obama, age is just a number. 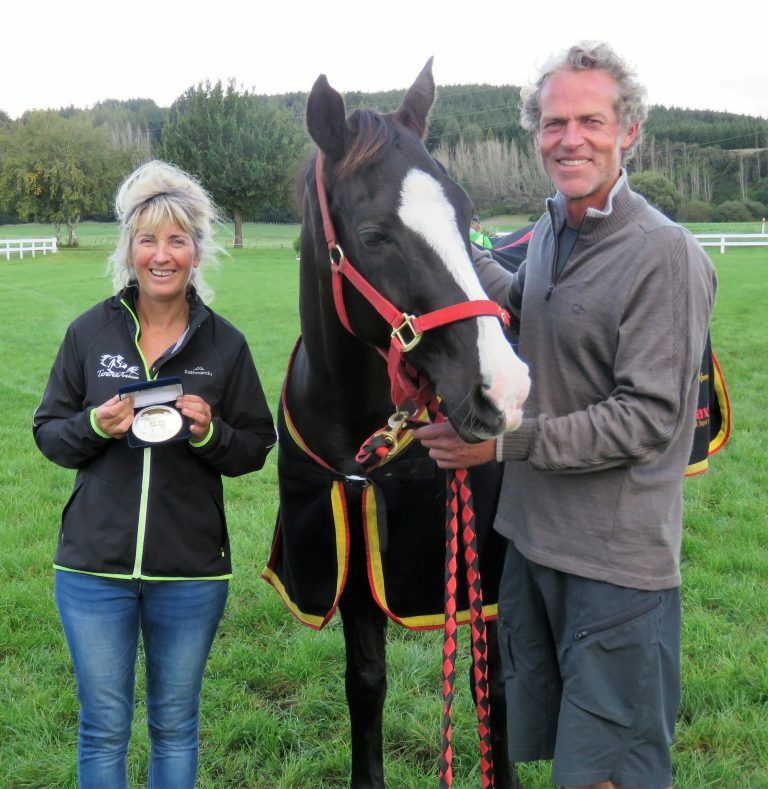 The big-hearted Wairarapa horse that rose to fame in recent years for his ability to take on a 160km endurance course in his old age, will soon be farewelling New Zealand to feature in the international arena. For owner Mark Round, the decision to take him to the United States to represent the country in September at the World Equestrian Games was not an easy one. Taking a horse to an international event will cost more than $70,000 for the round trip — which Mr Round and Masterton trainer Jenny Champion cannot fund. After the world’s event, Barack will remain in the United States. A director of the American Endurance Ride Conference (AERC) wants the organisation to refuse to approve any riders seeking to compete in endurance in the Middle East for two years, with the exception of the Boudheib venue, where “house” rules have proved effective at maintaining horse welfare. A lengthy resolution, proposed by AERC director Paul Sidio, is to be considered by the organisation’s board of directors during its telephone conference call on February 12. The 5th Annual Gobi Gallop (the longest annual charity horseback ride on the planet!) has been successfully completed! Eight riders from five countries spent 10 days in the saddle to traverse 705.5 kilometers of Mongolian wilderness in support of Veloo Foundation’s Children of the Peak Sanctuary Project. A heartier and more determined group you would be hard pressed to find and surviving the many challenges of the ride, they arrived at the end of 705.5 kilometers a tight knit group of friends, thrilled to have experienced the beauty and challenge of this epic ride and ecstatic to have overcome all the difficulties that this year’s Gobi Gallop offered. While the ride itself always presents challenges just from the fact that it is the longest annual charity horseback ride on the planet, this year the riders and crew faced grass fires, drought, rider illness, swarms of insects and the occasional herd of stampeding camels! We survived a very quick acting and nasty virus ran which its course through the riders leaving almost all of the riders for the count and in the bus hooked up to IV fluids and receiving anti vomit and anti diarrhea medication injections. Thanks to the quick acting and professional conduct of the Hero of the Gobi Gallop, Dr. Sukhbaataar, along on the ride as medical support, everyone made a speedy recovery and most people only missed a few hours in the saddle as the result of this illness. Fortunately, the riders are all extremely tough individuals devoted to the ride and so the illness had little effect on the ride schedule. The challenges for the riders on The Gobi Gallop are oftenexceeded by the challenges faced by the horses and is one of the reasons why this particular ride was named “In Celebration of the Spirit Mongolian Horse” and celebrated the absolutely amazing endurance that these horses have. This year we had 6 horses who have don every Gobi Gallop since inception! Horse Trek Mongolia owners Baagii and Saraa are very particular about the health and welfare of their animals and bring along 2 horses for each rider on the gallop so as to allow a rest day for each horse every other day. In addition, in the middle there is a built in rest day for the horses in the programme. In the past this has been a proven method for ensuring the animals arrive at the end of the 700-kilometre journey tired but in sound condition. Perhaps the most pressing and disturbing issue encountered on this ride was the devastation from drought out in the countryside. The route for the Gobi Gallop this year was chosen specifically with the ongoing drought in mind and traversed miles and miles of what should have been lush green valley but was, in fact, dry, burnt, and wasted grass. This year, with the lack of food out on the steppe it was a real challenge for Horse Trek Mongolia to maintain the strength and safety of the animals and a number of animals were trucked home and new horses added to the herd. Separate from the difficulties the ride included, as always, a number of breathtaking highlights, stunning scenery and unbelievable events. We had our first sheep try to join our free ranging spare horses and were treated to a wild Mongolian bucking bronc show when the herder responsible for the sheep came to collect him. We met dozens of locals coming out to chat and learn about our undertaking and one of our riders, and one of our guides, had the chance to wrestle a local country boy and share a bit of fun – the local country boy outclassed both our rider and our guide but all in the name of fun. We rode past an “election ger” set up in the middle of the countryside for all the far-flung locals to come vote at in the upcoming Presidential Election.. We found lizards and impressive curling big horn sheep skulls in the desert as well as having the eerie honor of riding past the site of an air burial – a still occasionally-practiced death rite of leaving a loved one on the mountain top rather than burying them after death. There was a spectacular moonlit ride looking for camp well after the sun had gone down ( don’t worry – we found it!) and a 4:30 in the morning start in horrendously smokey conditions to get the horses to some place where there was feed so they could have a long break mid day and build up some calories for the day. We rode for miles and miles across fields full of holes and fluttering with near biblical quantities of locusts – well, grasshoppers really, but locusts does sound much more dramatic! There were songs ( lots and lots of songs!) and tired baby horses resting at each stop to begin with but then getting stronger each day as the ride went along and rousing choruses of “ Ole Ole Ole” upon spotting that most welcome of all sights – the yellow bus that marked the campsite in the evening . Predictably, along with the holes there were falls and horses sitting down because their girth was too tight. Guides and riders alike were off ( and then back on!) for the first 5 or 6 days as horses and riders settled into the rhythm and pace of this longest of all rides. As in previous years, we had no serious injuries from falls – mostly just bumps and bruises and sometimes not even that. The arrival at our final camp, back at Saraa’s Ger Camp, home of Horse Trek Mongolia is always special as we are met by the some of the children and staff of the Children of the Peak Sanctuary Kindergarten and treated to a gorgeous lunch, cold beer and a wonderful concert by the children. It is very poignant to, exhausted and filthy but deliriously happy at having finished, once again see the children you have just ridden the equivilant distance to riding across Germany for and know that on top of the amazing achievement you have just completed, you truly have made a difference one child at a time. This year we were lucky enough to have the talented Bree Von Bradsky along to film the goings-on with an eye to making a documentary. Thanks to her (and her wonderful drone!) we were able to see the huge herd of camels across the river and behind the trees across from campsite, followed antelope along ridgelines and had the chance to truly see the immensity of the landscape we traversed. It is the only way to try and put the epic nature of the ride through this vast country in perspective. The short film that Bree magically produced from her office in the steppe ( and in the back of the car) for the Gala is amazing and shown here above. With such talent and eye for the human aspect of the event, I for one, can hardly wait for the finished documentary that should be available for screening late in September. The culminating event for the Gobi Gallop is the Gobi Gallop Gala – a star studded high flying dinner, dance and charity auction to welcome home the riders and raise money for the Children of the Peak Sanctuary – thanks to a tremendous flotilla of sponsors was, once again this year, a huge success. This year, in addition to local supporters, business leaders and our corporate sponsors, the gala was also attended by the family of three riders who made the trips from America, Canada and New Zealand to be part of the team welcoming home their loved ones. What a wonderful welcome for the riders and a great celebration of a hard earned, 705.5 kilometer long victory! Already, plans are in the works for Gobi Gallop 2018 which is looking to be (if it’s possible!) even more arduous as we return to Adventure Across the Gobi and re experience the roots of the Gobi Gallop as we cross at least 700 kilometers of the fifth largest desert on the planet. Only 10 spots are available – I wonder who will be the lucky ones who get to go? I know I’ll be there. Will you? Endurance GB, the National Governing Body for the sport of Endurance Riding, has launched a scholarship scheme to develop Young Riders in Endurance. The programme will bring promising Young Riders into the “Spotlight” from the start of the 2018 season. The Spotlight programme is designed to support development in the sport, providing coaching, training and financial support to eligible combinations. Horse welfare will be at the heart of the programme, equipping the next generation of sporting ambassadors with the skills and knowledge to fulfil their personal ambitions within the sport of endurance. Endurance GB will support committed riders and will work with them to refine their goals over the course. EGB will, each year, support riders with a contribution to fuel costs when they take the next step up. The development of the new programme is thanks to Endurance GB sponsor HPG Endurance Ltd, who have played an active role in encouraging the organisation to invest in all ages and levels of rider. To apply for a place on the Spotlight Programme, riders must complete an application form and send it to Rebecca Kinnarney. An impartial panel will assess applications, following which an assessment will be arranged either at an EGB training day, or privately at the applicant’s yard. Scholarships will then be awarded to the successful applicants. The top four riders were awarded 4WD cars and a total of 172 riders started the four-stage race and 46 completed. A superb effort by Rashed Hamoud Humaid Al Junaibi on 10-year-old gelding Sarab gave the Al Wathba Stables a dominating win in the Emirates Championship FEI CEI two-star 120-km Endurance Ride at the Emirates International Endurance Village, Al Wathba in Abu Dhabi on Saturday. The Marwari Horse Endurance Championship 2018, held in Lonavala, recently, had all the excitement that was promised and more. Over fifty horses took to the field in three categories -20km, 40km and 60 kms courses. This annual event is organised by the Indigenous Horse Owners Association and attracted riders not only from Maharashtra, but other states too. The judgment calls of Endurance riders over their speed, especially in the early loops, are major factors in their elimination or failure to finish 120km races, the findings of a new study show. British researchers David Marlin and Jane Williams said race-pace strategies had been extensively studied in running, cycling and swimming. However, it appeared to have been largely ignored in equestrian sport, despite its potential to optimise performance.